Over the rest of this week and next we are running short tours of The Sir Duncan Rice Library (TSDRL) for all students, new and old. Starting on Wednesday September 7 and running until Friday September 16, come and meet staff on the ground floor of the library at 10am or 2pm. There is no need to book and each tour group will contain a maximum of ten people, but there will be more than one tour taking place at a time. 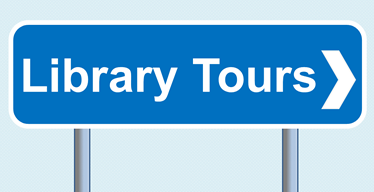 There will be no tours taking place at the weekends, but staff working then will still be happy to answer any questions you may have about the Library Service. Speak with staff in the Taylor and Medical Libraries for help in finding your way round their collections and spaces.